The Big East had an outstanding season, finishing the regular season ranked as the second-best conference in Ken Pomeroy’s ratings as well as the RPI. Let’s take a look at some of the best players and teams from a league that will likely send six teams to the Big Dance on Sunday. Kris Dunn, So, Providence (15.5 PPG, 5.6 RPG, 7.4 APG, 2.8 SPG) – This award could have easily gone to Villanova’s Darrun Hilliard or Dunn’s Providence teammate LaDontae Henton, but the Friars’ sophomore point guard has dazzled us all year long on one of the Big East’s top teams. Originally a part of Providence’s 2012 recruiting class, Dunn had been beset by injuries up until this season. Finally healthy, he played in all but one regular season game and led the country in assist rate at 49 percent. Also an outstanding defender, Dunn ranks fifth nationally in steal percentage. His best performance of the year came in a home win over DePaul on January 29 when he posted a triple-double (27 points, 13 rebounds, 11 assists) — it was the first triple-double ever posted by a Providence player in a Big East conference game. Kris Dunn, So, Providence (15.5 PPG, 5.6 RPG, 7.4 APG, 2.8 SPG) – Our RTC Big East Player of the Year. Darrun Hilliard, Sr, Villanova (14.2 PPG, 3.2 RPG, 2.0 APG, 1.8 SPG) – As is the case with all of his Villanova teammates, the statistics don’t tell the entire story. The best player on the best team in this league. 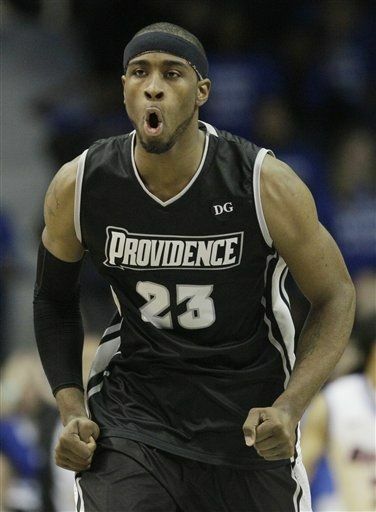 LaDontae Henton, Sr, Providence (20.1 PPG, 6.3 RPG, 1.4 SPG) – Joined Ryan Gomes as the only other Providence player to score at least 2,000 points and grab at least 1,000 rebounds over his career. D’Angelo Harrison, Sr, St. John’s (17.8 PPG, 5.5 RPG) – The Red Storm’s leading scorer led an experienced team to what is likely to be an NCAA Tournament bid. Sir’Dominic Pointer, Sr, St. John’s (13.7 PPG, 7.6 RPG, 2.0 SPG, 2.5 BPG) – Perhaps the best defender in the conference, Pointer was all over the floor in an impressive senior season. Senior guard D’Angelo Harrison stepped off the floor of Carnesecca Arena for the last time in his career on Saturday, and a long round of applause followed by chants of “D-Lo” ensued. It would be hard for St. John’s fans to fail to appreciate everything Harrison, along with fellow seniors Sir’Dominic Pointer, Phil Greene IV and Jamal Branch, have brought to this program in spite of countless transfers, early departures and other off-court issues. Although this season too has had its ups and downs, St. John’s, at 18-9 overall and 7-7 in Big East play, is knocking at the door of the NCAA Tournament. Harrison claims he wants nothing more than to get there for the first time in his four years on campus, and he has assured Red Storm fans that it will occur. A player of his magnitude — currently averaging 18.3 PPG and sitting at third all-time in St. John’s scoring history behind only Chris Mullin and Malik Sealy — would be hard pressed to let that claim fall short. Earlier this month, Harrison broke the 2,000-point mark without even knowing it. “I didn’t know until Phil and Dom told me when I got into the locker room. I don’t like to know stuff like that. I like looking at stuff like that after the season.” He is the quintessential team leader, the face of the franchise, and perhaps the strongest candidate league-wide for the Big East Player of the Year award. The race for the Big East’s top honor has been a hotly contested one this season. Georgetown junior D’Vauntes Smith-Rivera appeared likely to run away with it in the early going. When his shooting suffered, the consensus soon shifted to Seton Hall’s Sterling Gibbs, whom the Pirates had rallied around in their surprising march to the Top 25. Following his team’s dramatic collapse and ensuing elbow incident, the front-runner with two weeks left in conference play is not so clear. Some are pointing to either of Providence’s Kris Dunn or LaDontae Henton, both of whom have shared the leadership responsibilities for the Friars’ 19-8 season. Others believe that one of Villanova’s stars — perhaps Darrun Hilliard or Daniel Ochefu — should get the nod if the Wildcats run away with the league title. But if the Red Storm can make a push down the stretch, it could be Harrison who has the best case of any. It is not another typical day at the St. John’s campus. Something seems different. Maybe it is the dark clouds that hover in the air, or the students walking around, seemingly faceless and unhappy. Possibly it is the basketball team that is strutting around aimlessly, daydreaming about the things that could have been. Nevertheless, something is strange at 8000 Utopia Parkway, Jamaica, NY. Some will say it shouldn’t be that way. St. John’s is a fine school. It enrolls nearly 21,000 kids despite only accepting about half of the people who apply to attend such a fine university. Still, there’s whispers of a big change coming. Not from an academic standpoint, though. A possible looming change could be what is making everyone seem, if not on edge, a bit too sad. 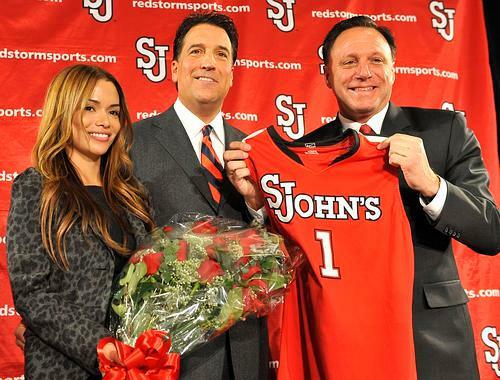 A man named Steve Lavin is the current face of St. John’s. Steve typically wears fine suits with a pair of sneakers because he treasures comfort as much as he does style. Slicked back hair, slightly pudgy but certainly not fat, Steve has been helping mold young minds at the program for nearly five years. He came to St. John’s after years as a TV personality and before that as a molder of young minds over on the West Coast. Steve is a very likable fellow. He has always had a reputation of getting the best of the best to enroll at whatever school he was affiliated with at that particular moment, but things haven’t quite worked out that way since joining the big New York university. Sure, Steve has shown some glimpses of brilliance that made the people within the university fall in love with him in the first place, yet that era of him being all that and a bag of recruiting potato chips has seemingly passed. He isn’t a broken man, though. No one keeps a good guy like Steve down. Few people have been through as much as he on a personal level over the last few years. Still, St. John’s brought him in to do a specific job and he hasn’t lived up to his end of the bargain. It wasn’t always that way. When Steve first took over the basketball program he had a slew of kids brought in by another man, Norm Roberts. Norm and Steve could not have been any different — Steve coming from a high-profile program and gig while Norm coming from the land of lesser known places of higher education. However, where Norm failed to bring St. John’s, Steve did in his very first year with the program. All in all, because of Steve’s immediate success. many thought their basketball program was on the way back up. There’s a note on Steve’s desk this morning. It reads: “Steve, we need to talk. Sincerely, Chris Monasch.” Chris is the boss. The head honcho of all things related to sports at St. John’s. Often mentioned as a kind man, who by all accounts really likes Steve and wants him to succeed if for no other reason than Steve being a good person, Chris has been under a different kind of pressure than the head basketball coach. People are starting to implore Chris, through newspapers, new media and social media, to look at the future of the St. John’s basketball program through a different lens. It is that pressure from the outside which has resulted in such a note landing on Steve’s desk. The Big East now finds itself squarely in second place of KenPom’s rankings, and the reason lies in the sheer depth of the conference. Eight teams are ranked among the top 100 and seven can be found in the top 50. With DePaul (5-2) pulling its own weight this season and both Creighton and Marquette playing increasingly competitive basketball, there have been only a handful of games in conference play that were blowouts. Of the 37 conference games played to date, 13 (35%) have either gone to overtime or been decided by four points or fewer, ranking the Big East first overall for competitiveness. Given that fact, every weekend’s action features close, down-to-the-wire finishes. 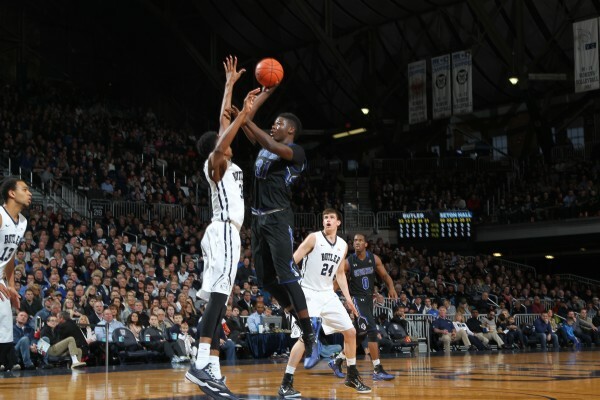 Below are three key takeaways from the past weekend of Big East action. 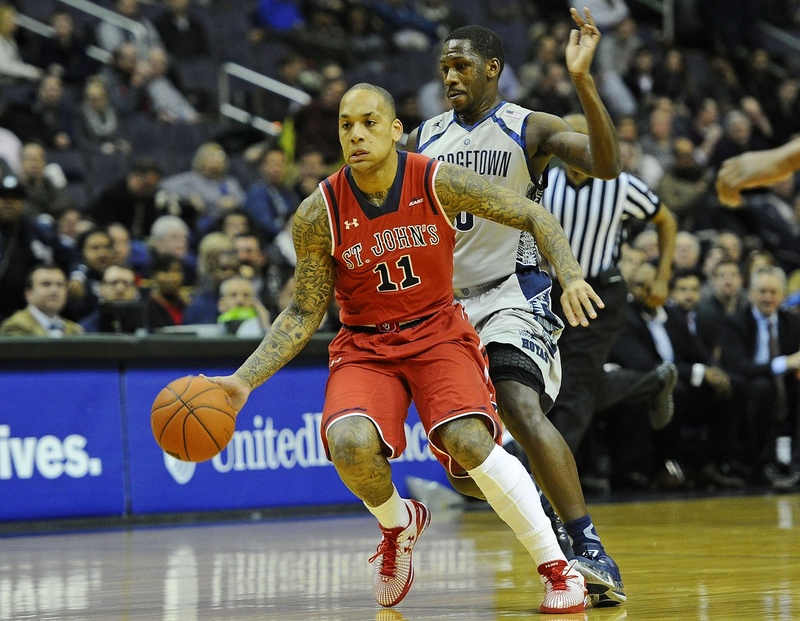 St. John’s fans expected a regular NCAA Tournament team by now. When head coach Steve Lavin was brought in five years ago to revive the Red Storm program from the woeful Norm Roberts era, there were high expectations based on his recruiting connections and player development abilities. Playing with a senior-laden roster in his first season at the helm, the Red Storm went on to make the NCAA Tournament before bowing out in the first round. Since then, however, Lavin’s teams have fallen well short, either striking out completely or wavering on the bubble (50-48 from 2012-14). Despite having a talented core of players ranging from the Big East’s second-leading scorer, D’Angelo Harrison (20.0 PPG), to the nation’s third-leading shot blocker, Chris Obekpa (3.5 BPG), depth, largely driven by recruiting misses, has been a problem. Highly-acclaimed recruits Adonis DeLaRosa and Keith Thomas, for example, have yet to see playing time after failing to meet academic standards, and Rysheed Jordan, the third-ranked point guard of his class, has not meshed well into the system, frequently cited for attitude problems both on and off the court. Needless to say, the fans are getting restless, and understandably so. After starting this season off strong and making its way back into the Top 25 (at one point as high as #15), St. John’s has fallen off in dramatic fashion. An 11-1 team with good wins over Minnesota and at Syracuse came into Wednesday night’s game versus Marquette having dropped four of its last five games and looking to get back on track. For such an important game, it was remarkably sluggish. Harrison shot a dismal 3-of-18 from the field; Phil Greene and Rysheed Jordan struggled to navigate Marquette’s zone defenses; and Obekpa, while strong on the shot-blocking front, contributed little in the way of scoring. Yet the Red Storm’s defense was sufficient and vital in keeping the team afloat, grabbing 10 steals and holding Marquette to 33.9 percent shooting on the evening. 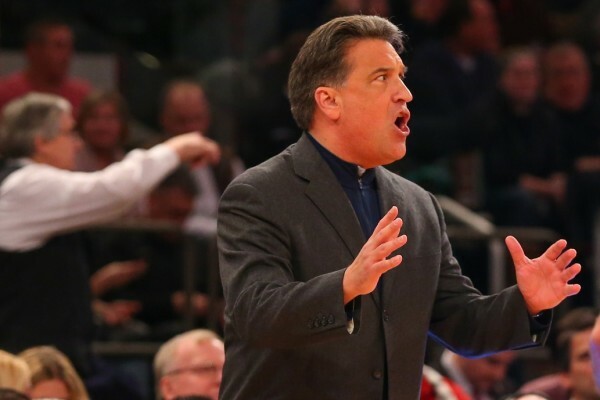 The bottom line is that it was a necessary win for Steve Lavin’s squad, although an unconvincing one. “When you have a stretch where you feel snake-bitten, it’s good to have a win and get some momentum,” he said after the game. With Harrison unable to find the basket, concerns have arisen and postseason expectations have warped. “It’s clear his injury is bothering him… it’s rare for him to have back-to-back games like that,” Lavin added. A usually reliable scoring threat, there is no question Harrison will eventually find his rhythm. But the when needs to be now, as the team gears up for a huge game against Duke on Sunday. One game at a time should be this group’s mantra with its biggest test of the season just a few days away. “The Duke game presents a big opportunity for us on our home court against a very talented team. We’ve got a couple of days to prepare here and get ready. 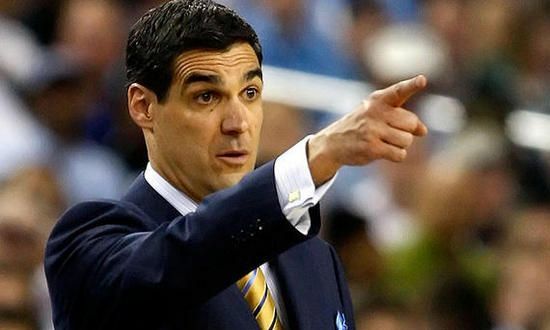 To beat Duke it’s going to be a collective effort,” Lavin said. For a St. John’s team that appears wobbly and shaken, a midseason non-conference tilt against Duke offers the greatest of opportunities to refocus some of the negative energy that has once again started to creep into this program’s psyche. The Big East marched along last week, continuing its ascent up the rankings of the power conferences. It reached the #1 ranking for overall conference RPI for a bit before bowing to the Big 12 (only slightly), and the conference now stands at second overall with a sizable gap between itself and the rest. Even more impressively, the Big East has the highest average RPI among its conference members thanks to DePaul’s 3-0 start. As of this writing, the league lists nine of its 10 members among the top 100. Below is a list of four key takeaways from the last weekend’s action. Providence makes its push for the top of the standings. As I wrote in an earlier article, Providence has a legitimate case as a top three team in the Big East even though the Friars had largely fallen off the radar in non-conference play. They made a strong push last week, picking up a road win at Butler and then defeating Georgetown in overtime. Neither result was necessarily pretty — the Friars won both by a combined seven points — but the pair of wins catapulted Providence to the top of the league standings with a 3-1 record. Kris Dunn and LaDontae Henton continue to carry the load on the offensive end, with Dunn doing a much better job of staying out of foul trouble and remaining on the floor. The duo lead the conference in assists and points per game, respectively. 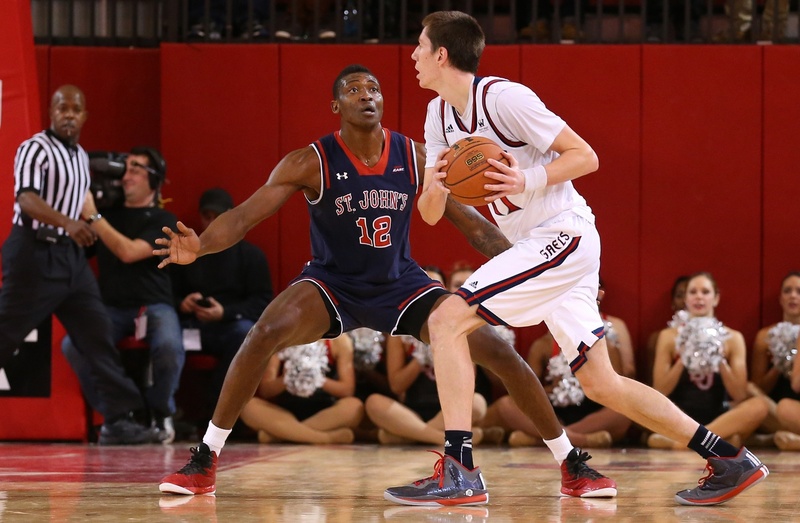 St. John’s (11-1) has made a serious case as the second best team in the Big East. Sporting a defense that ranks fourth nationally in defensive efficiency and third in block percentage, the Red Storm have received a great deal of attention following wins at Syracuse and versus Minnesota. Sure, they were fourth in my preseason rankings, but the envisioned gap between the Johnnies and Xavier/Georgetown was large and has proven so far to be completely off base. Ranked #15 in the latest AP Poll, Steve Lavin has built a team featuring an incredibly talented group of quick, athletic guards with senior D’Angelo Harrison (19.0 PPG) shouldering the offensive load while do-it-all forward Sir’Dominic Pointer and shot-blocker Chris Obekpa wreak defensive havoc. At this point, St. John’s has looked superior to every other Big East team outside of Villanova, and although its inconsistent outside shooting (266th nationally) and offensive execution in the half-court leave much to be desired, the Red Storm have been the single biggest conference surprise this season. For the Red Storm, it was never a question of talent. D’Angelo Harrison and Rysheed Jordan were All-Big East team nominees and Chris Obekpa has been one of the most intimidating shot blockers in the country. But despite being picked to finish third in the Big East this season, there was a great deal of uncertainty surrounding the team chemistry and the collective focus on the defensive end of the floor heading into the season. It was a problem that plagued talented teams of the past, and without a leader, it would continue to do so. D’Angelo Harrison changed that. With 5:29 remaining in the game, the senior motioned his teammates into a huddle, drawing them away from an increasingly confrontational game against St. Mary’s. Frequently cited for attitude problems in the past, it showed signs of the team’s long-awaited maturation; a coming of age, displayed in just a matter of moments. From there, the Red Storm rallied, together as a team, to capture another home court win. However, that’s not to say the win came easily. In the first half, the Johnnies looked completely out of rhythm, reverting to their old, all too familiar “take ‘em” strategy. Like a bad habit, the problem for is one that becomes self-reinforcing over time: shoot first, think second. When it works, the perimeter tandem of Harrison, Jordan, and Phil Greene looks unstoppable, especially when Obekpa and Sir’Dominic Pointer are on the floor to grab offensive rebounds. But when it doesn’t? The team looks desperate and confused.